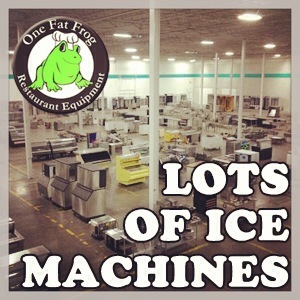 One fat frog restaurant equipment has a great inventory of use ice machines. We can also get you anything new you like. All ice machine purchases qualify for easy financing lease programs. All sorts of credit. At the Frog, we have a variety of ice bins and ice and water dispensers. From standard ones to hotel to floaters let us set you up.